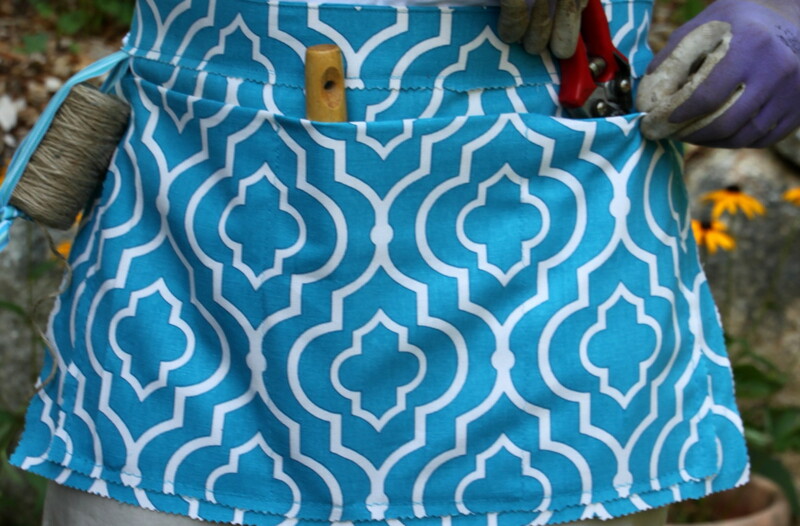 This week I am sharing a lovely gardening apron that I wrote about for HGTV Gardens. 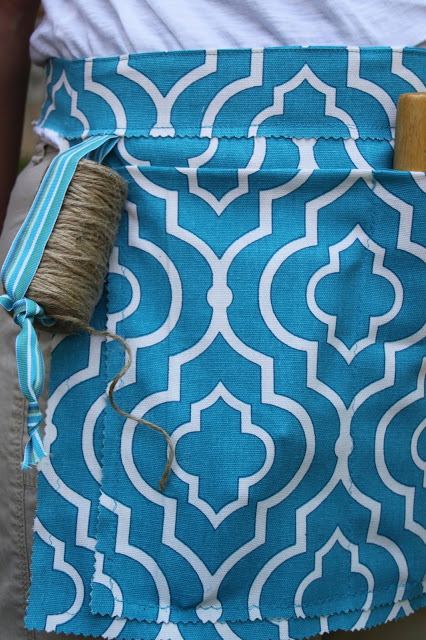 The apron was a simple easy project. By designing it myself, I was able to make a place for everything-including using a pocket for my cell phone. This helps me keep track of my tools that I am constantly misplacing as I work in the garden.